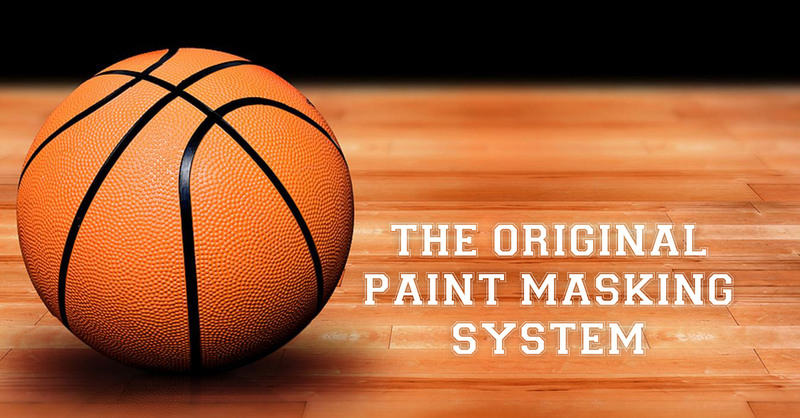 Learn more about our custom designed state of the art paint masking process that produces professional and uncompromising results every time. The GYMARX application technique is ideal for painting smooth to semi-smooth surfaces. 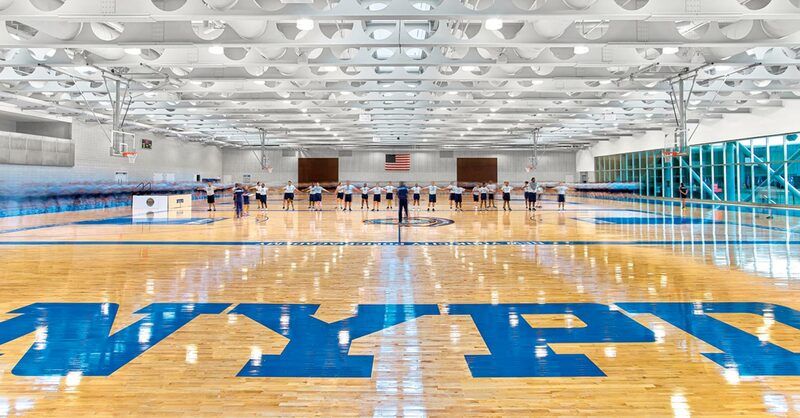 After 25 years designing and painting gym floor graphics, and with the introduction of computers into the industry, Simon Signs Inc. has developed a new state of the art paint masking process named Gymarx. 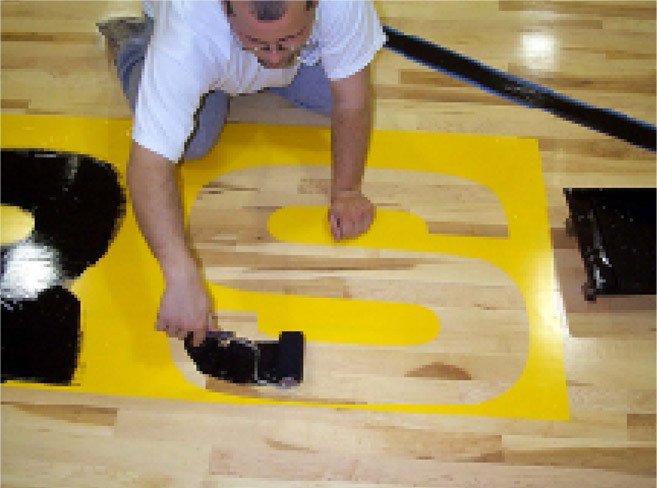 This process gives our clients the ability to paint letters, logos and mascots with professional and uncompromising results! We strive to use the most current technologies and equipment available so that the quality of our product remains first class so our customers are confident that they will be receiving a product that works and is easy to use. 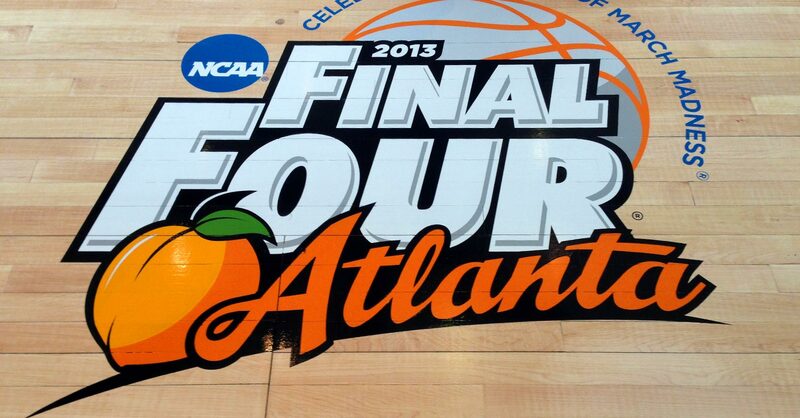 Gymarx was created so that very precise graphics could be painted on gym floors by anyone. 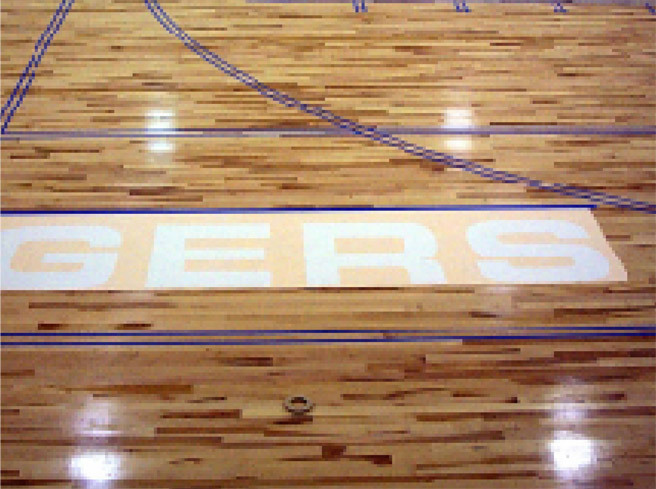 Flooring company installers and/or individuals from the schools can do it themselves without compromising the quality of the graphics and without having to hire a professional artist. This keeps the project moving forward without having to wait on someone else’s schedule and puts the money that would have been paid out to someone else, back into your pockets. 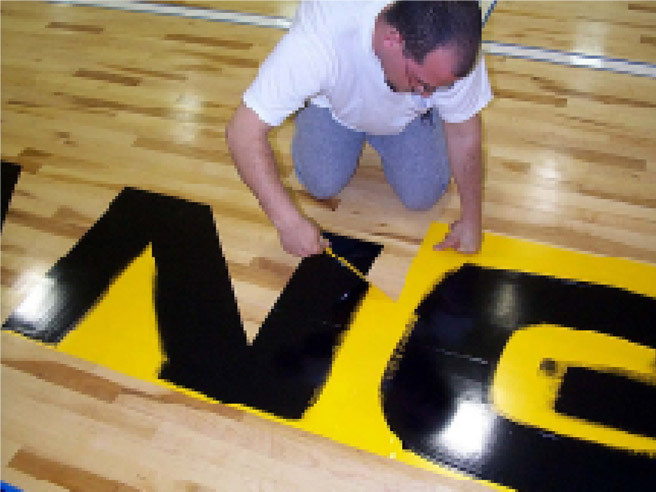 If you’re looking for a bold new look or just looking to update your existing floor, contact our team of professionals to create a new impressive look that will last a lifetime. 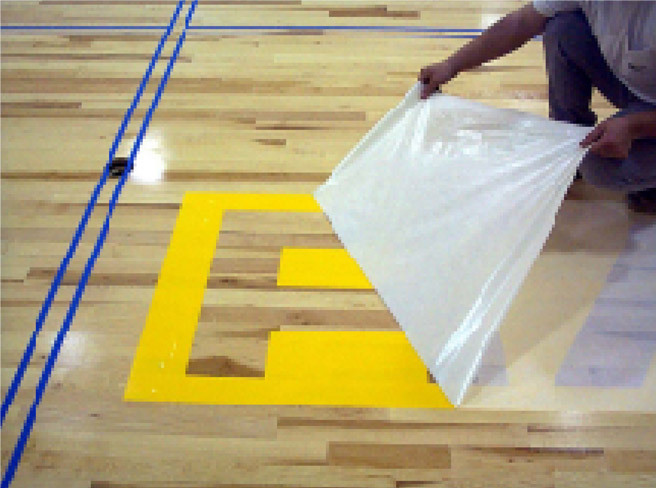 We have thousands of satisfied customers ranging from elementary school gyms up to NBA professional floors.